[ Carl Dolmetsch, classical musician, leading figure in the revival of the recorder, and Director of the Haslemere Festival. ] Autograph Signature ('Carl Dolmetsch') on part of typed letter. Signature on an irregular piece of paper torn from the bottom right-hand corner of a leaf. The valediction to a typed letter. Reads: '[...] gards from us all. | [...] ncerely, | Carl Dolmetsch'. [ Charlotte Helen Sainton, contralto. ] Autograph Note Signed ('Charlotte H Sainton') to an unnamed recipient, stating her terms and agreeing to 'introduce Miss Gabriel's songs'. Belvedere Mansion, Brighton. 5 November [ no year, on paper watermarked 1862 ]. 1p., 12mo. On bifolium. In fair condition, on lightly aged paper. She thanks him for his note and states that her 'terms will be ten guineas, and I shall be very happy to introduce Miss Gabriel's songs &c &c'. [ Sir George Thomas Smart, English composer. ] Autograph Letter Signed ('George Smart') to 'Mr. Taylor' regarding a mistake in 'Cards' and the 'state of poor Walker'. 91 Great Portland Street [ London ]. 27 June 1826. 1p., 12mo. In good condition, lightly-aged. He asks him 'to forward these Cards immediately (I have sent one to Mr. Doane) as many have call'd asking if they are to be engaged'. He expresses his regret for 'the mistake in the Name card', but it is too late to alter it. The 'sole cause' of the error was his 'constantly thinking of the state of poor Walker'. [ Ignacy Jan Paderewski, Polish pianist. ] 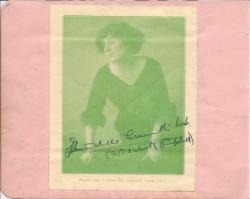 Autograph Signature ('I J Paderewski'). No place. 23 November 1912. 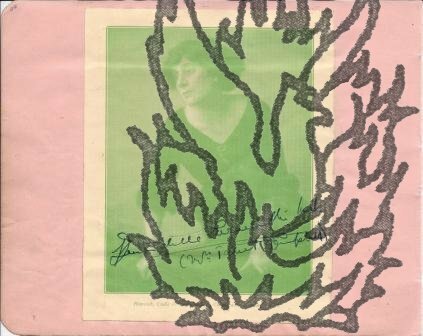 On 13.5 x 16.5 cm piece of light-pink paper removed from autograph album. In very good condition. Reads: 'yours truly | I J Paderewski | 23/XI 1912'. [ Sydney Smirke, English architect. ] 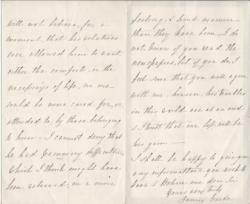 Autograph Letter, in the third person, to Miss Macerone', reporting his daughter's pleasure at her piano concert, and suggesting an acquaintance between his brother Sir Robert Smirke and her family. 79 Grosvenor Street [London]. 23 May [no year, but with 1860 watermark]. 3pp., 12mo. Bifolium, with Smirke's embossed monogram. Although he and his wife were 'absent in Northumberland', their daughter and a friend were able to make use of Miss Macerone's gift of a card of admission to her concert, and 'very great pleasure' was 'afforded to them by the afternoon's Entertainment. [Dame Eva Turner, English soprano.] Two Autograph Letters Signed and two Autograph Cards Signed (all 'Eva') to Geoffrey Child. The letters concerning LP recordings of her music, and piracies by 'Bill Smith', with reference to Giovanni Martinelli. First letter: Michigan, 4 July 1957. Second letter: Oklahoma, 22 September 1957. Cards from 1960 and 1962. All four items in good condition, lightly aged and worn. All four in a bold, expansive hand. The two letters accompanied by their envelopes, addressed to Child in London. Letter One: Address: 'c/o Mr & Mrs G. W. Williams, | 615 East Genesee, | Saginaw | Michigan. U.S.A.' 4 July 1957. 4pp., 4to. She is 'on the first lap of my Vacation' and has asked 'Anne' to contact him. 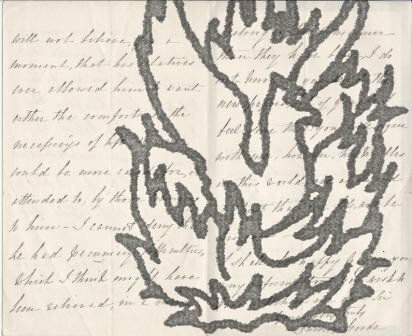 'During the University year I am so frightfully taxed for time - my own correspondence and my personal affairs suffer in consequence and are perforce relegated to the background. [Constant Lambert, English composer.] Autograph signature on card. Lambert's attractive signature ('Constant Lambert') on piece of 7.5 x 11 cm thin card. Lightly aged and creased, and with evidence of previous mounting on reverse. [Printed pamphlet.] "The Toadstool." Being a notice concerning the proposed new Dublin University, and its connection with the "Popish Plot" against Trinity College. John Bulmer, Mus. Bac., of Trinity College, Dublin. Clerk in Roman Catholic Orders. Messrs. Hills and Company, Sunderland. 1907. 12pp., 12mo. In blue printed wraps with title on cover and p.1. Sewn. In good condition, lightly aged, and slight wear to cover, which has a short closed tear at head of back cover. Stamps and label of the Board of Education Reference Library. Scarce: the only copy on COPAC and OCLC WorldCat at Oxford. Autograph Note in third person by John Balsir Chatterton, harpist to Queen Victoria, to Henry G. Times. 32 Manchester Square [London]. 'Sunday' [no year]. 1p., 12mo. On bifolium with mourning border. With mourning envelope addressed by Chatterton to the surgeon 'Henry G. Times Esqre. | Manchester Street | Manchester Square'. Fair, on lightly-aged paper, in aged envelope. The note reads: 'With Balsir Chattertons [sic] best thanks. | Sunday | 32 Manchester Street | Manchester Square'.